Wow! Where did July go? I have taken a little time off from writing my blog to enjoy summer and not be attached to a computer, even though writing this blog is fun for me sometimes I just need a little break. 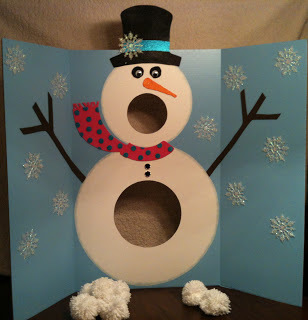 My aunt and I are going to do a craft fair this winter. I haven’t done one in over 10 years, I think it will be fun. If you have any tips to make it a success please feel free to share. A couple of things to remember: This project will be easier if you prime first. 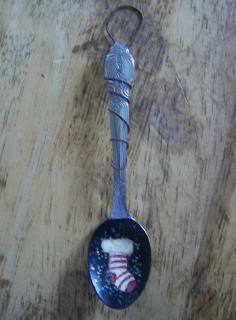 You could add beads to the wire or ribbon when you wrap the spoon to give them a little sparkle. You can drill a hole in the spoon to hang it by. On a metal spoon you can hammer out the bowl for a flat look. 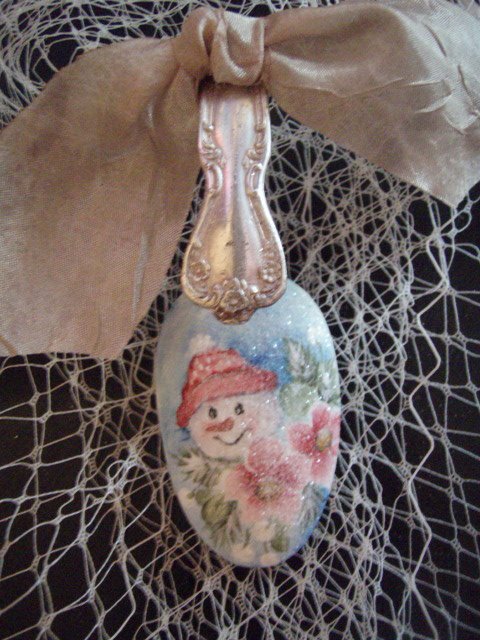 If you don’t paint, but like the look, give the spoon a base coat of paint and add a decal. I have said it before “I love when people share their talents.” So here are a few downloadable items that people have shared on their sites. 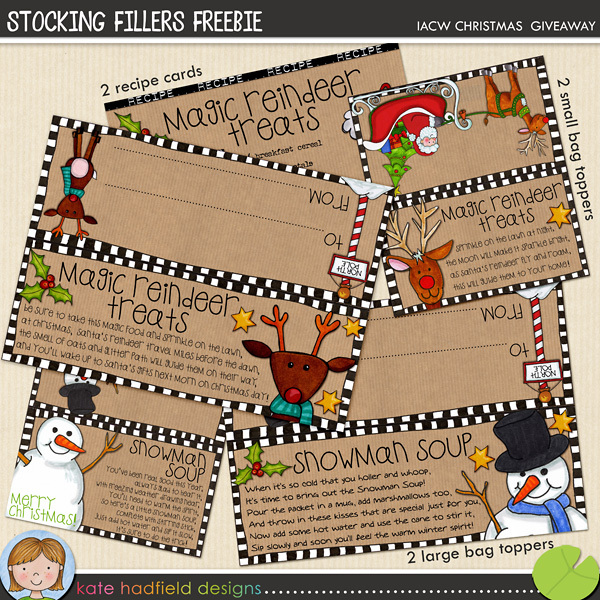 These bright and cheery stocking filler bag toppers are from Kate Hadfield Designs. I would like to find them in my Christmas stocking. 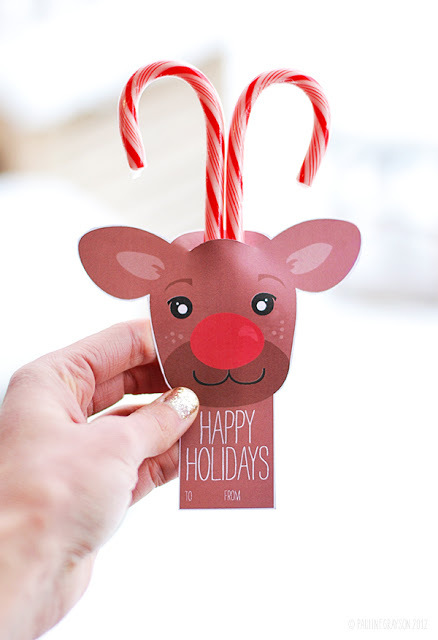 Next there are about 40 different downloadable gift tags available at Graphic Garden, very cute designs. 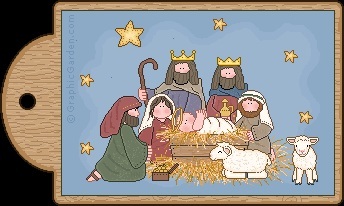 Lemon Squeezy has 24 Christmas downloads listed on her blog. 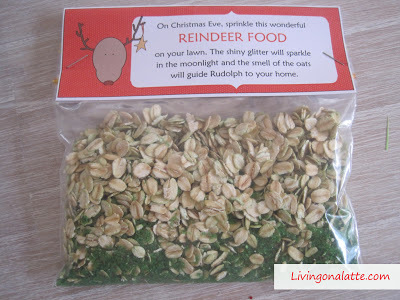 I like this cute reindeer card for the kids. 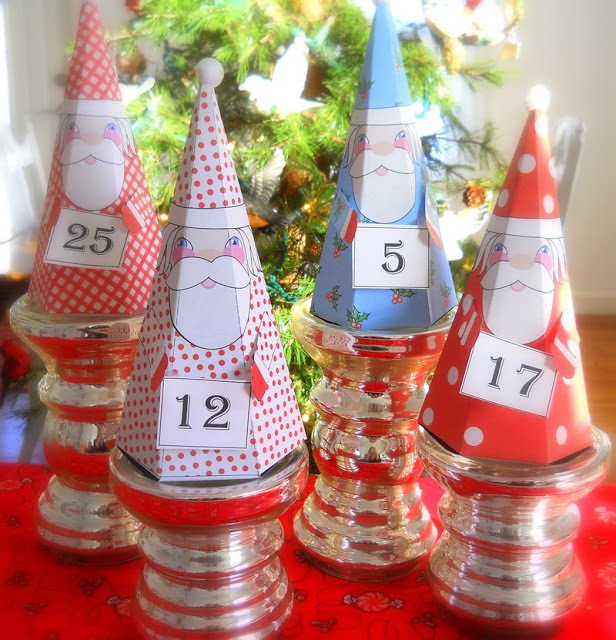 (it came from Sweet Muffin Suite) And here are a few Santas from Kathy’s Cottage. There are a lot of cute things you could do with these little guys. 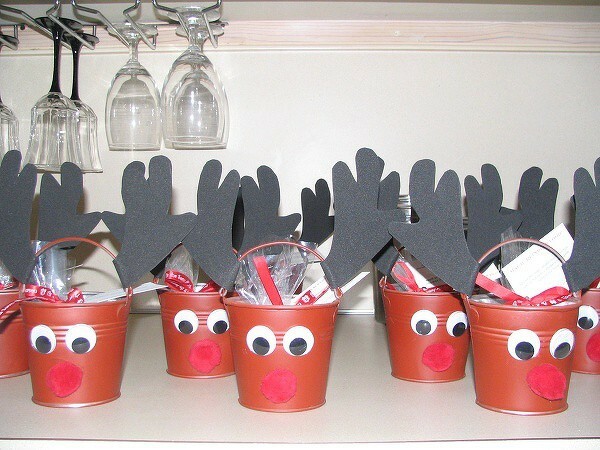 I try to do this every year, because as a crafty person you need to start early. 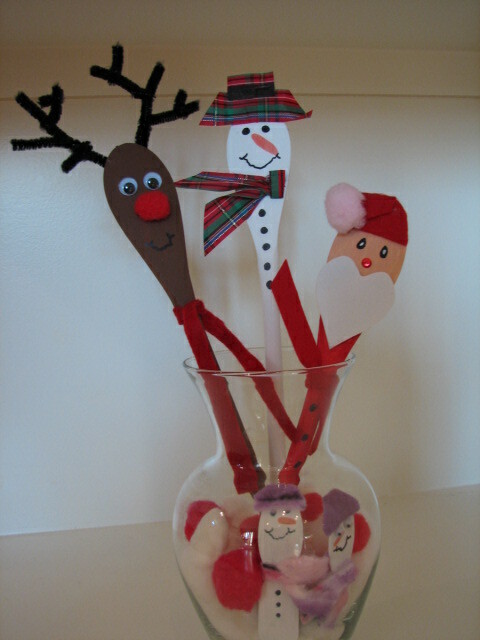 My goal is to use only handmade ornaments this year. So the only thing on the tree that will be store-bought will be the lights. I am up for this challenge. Here are a few things I would like to make. 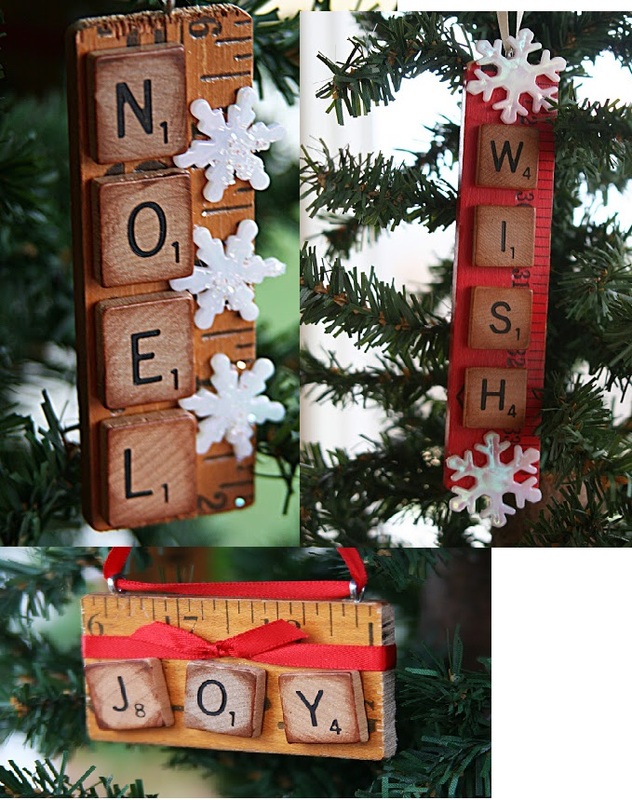 I like the rustic look of the ornament made from an old yard stick and scrabble letter tiles. If you can’t find the tiles you can buy in the craft stores, but you might check a couple of yard sales first. This came from Mamie Jane’s. Sometimes it pays to hang onto things. 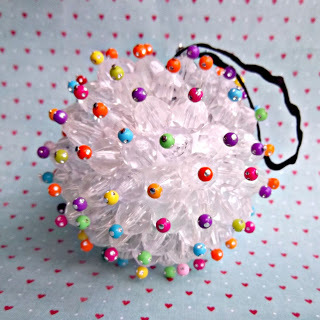 I have all the supplies to make these pretty beaded ornaments from Katy Clouds in my craft room. I bet these will really shine when the lights hit them. 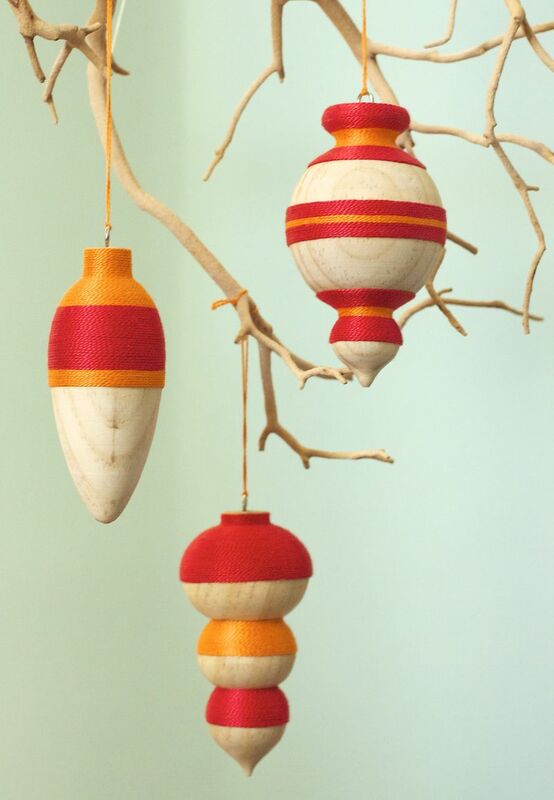 Next these pretty wood ornaments are from Urban Comfort. 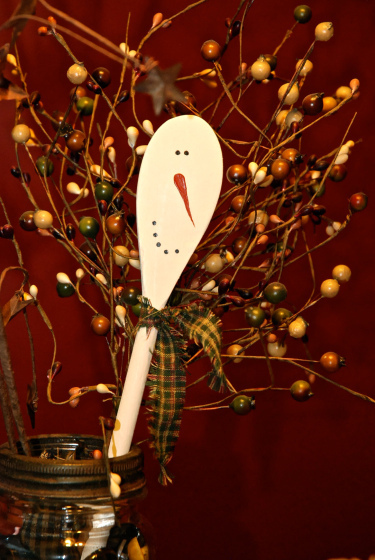 You can find the wood turned ornaments at the craft store, though you may have to wait a few more months to get them. 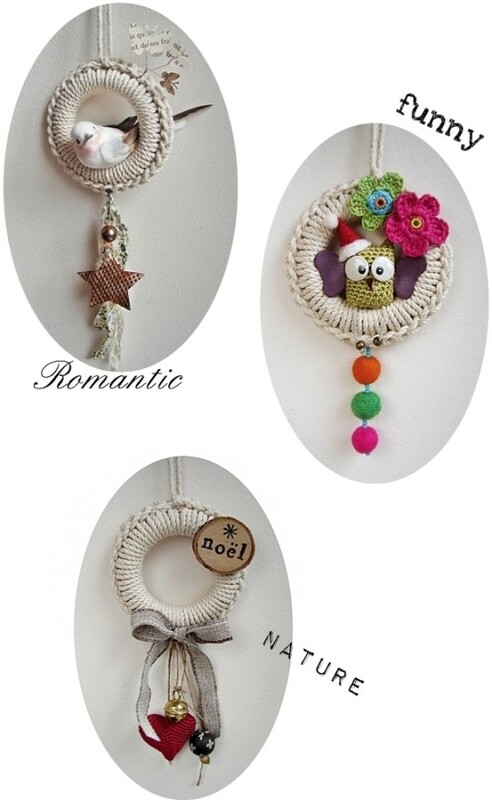 I love the fact that you could really make these your own by using different colored thread or maybe a metallic thread. 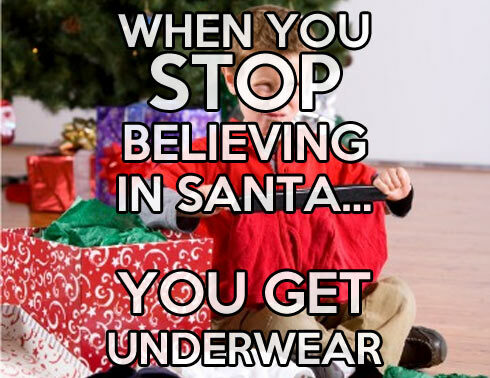 There will be more Christmas ideas this month so check back to see what is new.